As most fight fans know, fight cards usually feature main events that are supposed to steal the show as the headlining act. For Saturday night’s King of the Cage event, that couldn’t be any further from the truth as the undercard is stacked from the first fight all the way to the two professional bouts headlining the “Rumble” fight card. With the inclusion of over 10-gyms, the event is full of intriguing match-ups pairing up some of the Southwest’s most talented up-and-comers. In preparation of the evening’s exciting fight card, we are here to give you just five (even though this could easily be ten) things to watch for when you are inside the Crowne Plaza Casino tomorrow night on Saturday, February 8th. This was a fight that changed multiple times in the course of several weeks leading up to tomorrow night’s event. Originally scheduled to be McGlasson against undefeated and “Amateur of the Year” Jerome Rivera, the fight would then feature McGlasson and Judgement MMA standout Louis Pappas. In another opponent change, McGlasson would find himself fighting Farmington’s Robert Herrera for his King of the Cage 135-pound Amateur Title. From Colorado’s Child’s Play MMA gym, McGlasson is a strong grappler who often enjoys size advantages in most match-us. Herrera is a well-conditioned machine who has seen quick finishes and grueling five-round affairs. This fight is not one that fight fans want to miss as Herrera’s last fight was a legitimate amateur classic and McGlasson poses a dangerous threat to Herrera retaining his title. 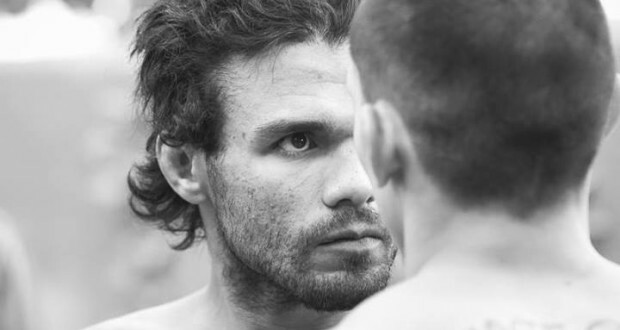 Robert Herrera appears to be the next breakout star for the King of the Cage promotion; the company has done a terrific job building up their amateur ranks and following through with their turn to professional fighters. Herrera last fought in December where he was able to capture the title with an impressive five round decision victory. In the win, Herrera showcased dominant wrestling talents which included several high-flying, highlight reel takedowns and slams. Amateur bouts are often used to polish up bad habits and to grow comfort inside the cage walls for active combat participation. That is why Seth Leake’s amateur debut inside the Ute Mountain Casino in December was so impressive; Leake looked like a well-groomed fighter in his match-up delivering very technical strikes and displaying very good footwork. Training under Joey “J5” Lujan at the J5’s MMA gym, Leake is a pure athlete who has ties to other competitive sports and his athleticism makes him a fighter to keep an eye out for. Leake has very dangerous power in his strikes and combines that with solid technique. Coming out of a Jiu Jitsu school, I would be very interested to see his ground game. Leake will be taking on Zack Sanchez out of Farmington’s 505 Fight Factory where Robert Herrera trains out of leading me to believe that Sanchez will have some wrestling skills of his own. This fight screams excitement and I wouldn’t want to get up for a break from action for this one. The women fighters often steal the show when they are featured and that goes as far as the UFC ranks all the way down to King of the Cage, XFC, World Series of Fighting and every other MMA promotion. I wouldn’t be surprised if that was the case tomorrow night either as two amateur fighters will get their chance to showcase their skills. Judgement MMA’s Brianna Padilla will make her amateur debut and if resembles even slightly, her teammate Amanda Lovato then we can expect an exciting fight. Padilla trains under striking aficionado Scott Marlowe and will definitely be well groomed to make her debut. 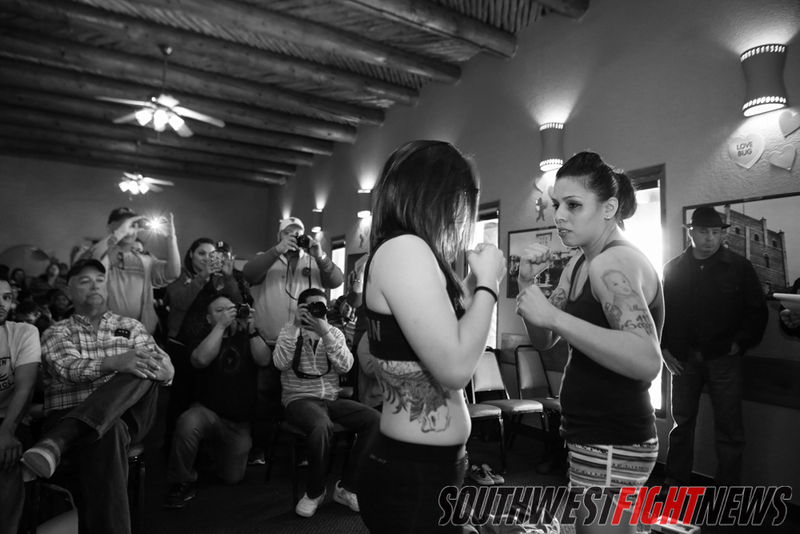 Her opponent, Melody Nanez is a tough out for anyone coming to fight in the amateur ranks. Training out of FIT NHB, Nanez will take anything you have to offer and in exchange will push you to the limits of what you can handle. Nanez fought Padilla’s teammate Lovato and fought valiantly for all three rounds. The Albuquerque trained Williams (6-2 amateur) is very experienced and has a skillset that is very well-rounded and savvy. One of the most experienced amateurs on the regional circuit, Williams has talents on both sides of the stat sheets as he is very technical offensively as well as being extremely fluid defensively. One of Williams’ strongest attributes however may come in the form of an intangible talent. FIT NHB’s Williams is extremely poised and relaxed even when facing adversity; the composure shown in bouts has allowed Williams to overcome obstacles in order to gain the advantage to get the “W” at the bout’s conclusion. Williams sets a quick pace with strong, thudding leg kicks and if an opponent tries to use the kicks to get the takedown, Williams is a very talented grappler off of his back. It seems like Charlie Williams is always in an exciting fight and his opponents often rise to the occasion to challenge him. The impressive part of that fact is that Williams is more-than game to accept that challenge and step up even higher. Will this fight be Williams last amateur bout? Possibly, but regardless every time he steps into the cage we suggest you don’t miss it. 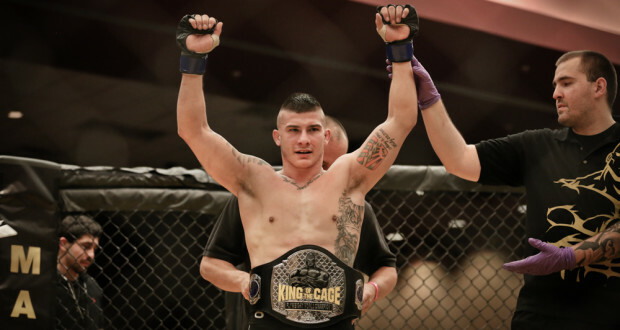 There has been several shows in the venue at Albuquerque’s Crowne Plaza Hotel but I don’t think there has ever been an event that has packed it the way King of the Cage did in late-2013 when they brought their “Future Legends” fight card to the ballroom. That night, the metaphor of “blowing the roof off the building” came as close to realistic as I have heard in one of the smaller venues and when one of the fan favorites were announced or won, the building erupted. That type of atmosphere makes the experience of the show memorable, I recall Jess Martinez, John Rozema and Jerome Rivera picking up wins and remembering the buzzing in my ears that I had when the crowd became nearly unbearably loud. That is true emotion and excitement; that is what sports is all about in my opinion, when someone can become so emotionally invested in an event or individual bout that together with the crowd in unison that they cheer so emphatically. Here is to another quality King of the Cage show!